Armortek's cutting-edge research and development has earned us a reputation as innovators in the armored vehicle industry. We're constantly engaged in creating the most reliable armor to keep you and the people you care about safe. You won't find vehicle armor more advanced than what we offer. 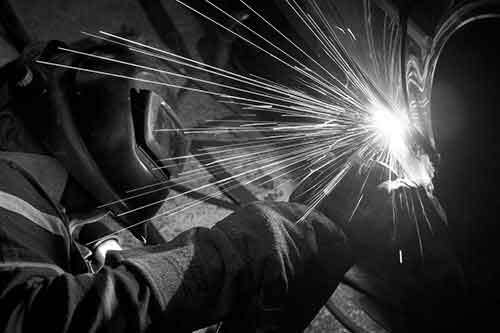 "By the time we're finished armoring your vehicle, both the interior and exterior of your vehicle will look almost exactly as they did before." Armortek's transparent armor for vehicle windows consists of bullet-resistant glass or Lexan polycarbonate. Window glass is densely layered to absorb the impact of bullets and other projectiles, with a tough polycarbonate core that prevents fragments of glass or ballistics from reaching the inner passenger compartment. All windows in our cars are curved for the best fit and protection. Exact thickness varies depending on the level of protection you order. Tinted glass is available at various levels of opacity if you want extra privacy. To protect the passenger compartment, Armortek installs ballistic armor made of various composite materials. We manufacture vehicles to meet internationally recognized ballistic standards, including the National Institute of Justice classifications of ballistic resistant protective materials. Level III-A armor protects against the same projectiles as Level II armor, with the addition of most handgun threats. It is tested against 38, 9mm, high-velocity 357 mag, .44 Magnum handgun and 9 mm submachine gun. Level III armor is tested against a rifle chambered for 7.62-mm (308 Winchester) ammunition. This armor also protects against the weapons tested against Level III-A armor. Level IV armor protects against all of the above, plus 30.06 (M-1), 7.62 (AK-47, M-14), and 5.62 (M-16). This level of armor is tested with a rifle chambered for 30–06 armor piercing ammunition. Composite armor adds less weight than traditional steel armor, while providing comparable or better protection. If requested, a layer of steel is also added to provide overlap protection on doors and other vulnerable areas such as between windows. Roof and floor armor to provide grenade protection is standard for private and law enforcement vehicles, and offered as an option for commercial vans and trucks. Optional run-flat tires, also called safety rollers, are manufactured from a space-age composite and custom designed specifically for your wheels. They provide continued mobility for about 30 miles (50 kilometers) if your vehicle tires blow-out. Care for tiers with run-flat inserts is the same as for a standard tires, and the safety rollers can be used again when the tires are replaced. This optional security system feeds a 110-volt electric shock into the door handles. When activated, it provides a strong deterrent to keep would-be attackers from opening the doors. For more information about additional security options, visit our Enhanced Protection Upgrades page.